Accounting, invoices, reconciles all of your money. Free trial. Beautiful interface. Multi-currency. Connect with Bookeepers and accountants globally. More robust than Quickbooks / Freshbooks. Over 500 app integrations. Includes QuickBooks data export. Up to $70 / m.
For generating contracts & legal. Cannot live without. Crafted by an army of legal pro's. Allows one to quickly and easily generate contracts. Contains myriads of great contract templates with thorough terms and conditions. Allows your client to sign digitally, or you can download contracts as a PDF. Includes stock photos and beautiful proposal templates ready-to-use. Really easy to use. Exports as PDF or simple web view. Almost like making quick, beautiful landing pages that better explain your services. As a designer, I usually just use inDesign to craft my proposals from scratch. However, Qwirl cuts down on time significantly for anyone, even designers. I highly recommend this tool to anyone who wants to up their game and close more deals. Starts at $29 / month. *I forgot to mention the powerful analytics, for my fellow data-lovers. Watch, as you will read your prospects' minds! All-In-one super tool. I HIGHLY recommend this tool to new Freelancers. Contracts. Awesome user interface. Easy to use. Saves mountains of time that is better spent doing other things, like playing guitar. 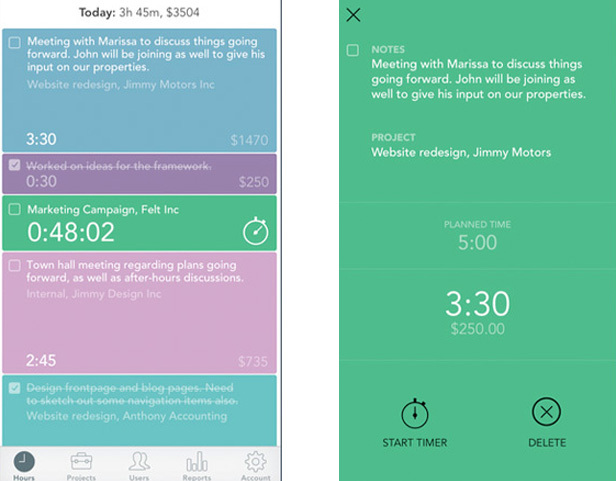 Time-tracking app that integrates with everything. Free. Simple. Integrates with everything. Beautifully designed. PayPal Invoices. Have access to your money instantly. Faster than any other Payment Processor. Send your clients Paypal invoices and they can pay with credit card, debit card, electronic check, or their PayPal balance. They do not have to have Paypal to pay these invoices. They simply pay them in their browser. Set up reoccurring payments, or other groovy features. Clients can also pay with PayPal credit and have six months to pay their bill from you with no interest. The best part: if you use a PayPal Business Debit, you have access to the funds the exact moment that your client pays using their credit card, debit card, or PayPal account. To make things even better, you make 1% cash back on the majority of your business debit purchases, which in the end makes it less expensive than the majority of other payment processors. A little piece of magic: If you sell at least $20k a year on PayPal, you'll have access to PayPal Working Capital, which is an interest-free business loan system with a fixed fee, and no monthly fees. All you do is pay Paypal at least 10% of your payments until the loan and fee are paid off. Better yet, there's no due date. You merely have to pay at least 10% of the loan total every 90 days. I've used this and paid it off twice already this year for my business. Word Processing. Writing. Free of distractions. Lives in your browser. Never lose your work again. Incredibly simple. Choose light or dark background. Full-screen, or not. The best part? It's always there. Shut down your computer, fire up Google Chrome, and there it is. Export as HTML, Plain text, or Markdown. Set Target Word Count! Or, merely paste from your browser (what I normally do). If you use Grammarly, you can check your syntax, grammar, and spelling on the fly. Awesome tools for organizing your workflow (*A fancy word for keep things in order). This assortment of tools deserves its own segment entirely, so I grouped them all-in-one, and only briefly mentioned them in the video. Trello, Asana, and Slack are all brilliant for organizing all of the little details of big projects. They're also perfect for team communication and keeping work organized. These tools sync up with other essential tools and will allow you to keep your work straight, and your desktop clean, on any device. 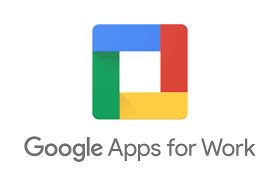 Also mentioned are the obligatory Google Apps. I assume you use them already, but I listed them here just in case. If you do not use Google Docs, Sheets, Calendar, or other apps, I highly suggest that you start doing so; as so many crucial applications are leaning on Google Applications to extract their maximum value. A great example would be any time-keeping apps that sync with google calendar. Work Hard, Play Hard: Can our friends be our clients?